Home Match Analysis Tactical Preview Can Caparrós’ new style win El Gran Derbi for Sevilla? El Gran Derbi is back and the stakes couldn’t be higher for either of the Andalusian rivals. Sevilla are currently fifth in La Liga and just place and one point off Champions League qualification. Real Betis are ninth but amidst the remarkably tight neck-to-neck mid-table affair in Spain this season, they’re only six points off their counterparts from the city of Seville. Both teams are coming off the back of sound victories, Real Betis having defeated Villareal 2-1 and Sevilla having resoundingly beaten Valladolid 2-0. 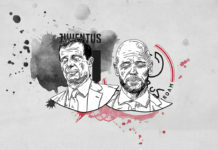 The stage is set for another intense derby and in this tactical analysis preview, we’ll attempt to analyse the tactics used by both teams in recent times as well as predict the interesting aspects of the game to be played in the Ramón Sánchez-Pizjuán Stadium. Following the sacking of Pablo Machín barely a month ago, Joaquín Caparrós was hired to replace him as the new Sevilla manager. Machín preferred a three-man defence and enjoyed great success with it in initially in Sevilla. However, since Caparrós’ appointment, he’s invariably lined Sevilla up in a 4-4-2 or a 4-4-1-1. Real Betis, on the other hand, have in recent times played a 3-5-2 (or a variation of it, such as a 3-1-4-2) and it’s safe to assume Real Betis will start in a similar fashion, seeing Quique Setién’s philosophical approach to the game and his general penchant for consistent starting XIs. Sevilla will also be awaiting the return of their first-choice goalkeeper Tomáš Vaclík. He’s been out since the middle of March after having picked up a knock in a game. For Real Betis, they’ll be eagerly expecting Sergio Canales and Francisco Guerrero to return to match fitness for this very crucial fixture. Considering everything, here’s what we feel the line-ups for both teams will be. Real Betis are a possession-oriented team so it can be safely predicted that the majority of the ball will be with Quique Setién’s men. Real Betis’ positional play sees them use certain tactical concepts so much that they’re deeply ingrained in the minds of the players. The most common aspects are achieving superiorities and a structured system both in and out of possession. The superiorities can be of various kinds but the most commonly used are numerical and qualitative. 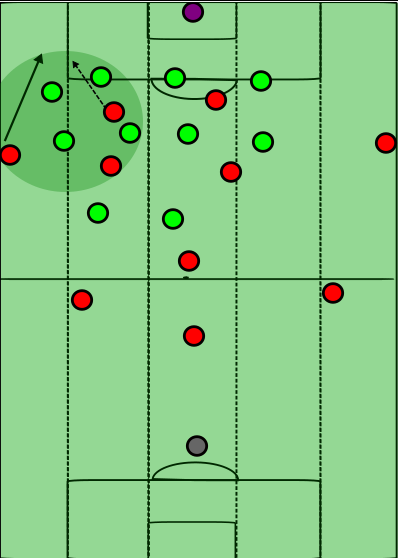 What this means is that Real Betis like to overload the ball-near areas so that they can then use free-man runs to attack the opposition’s backline at pace. 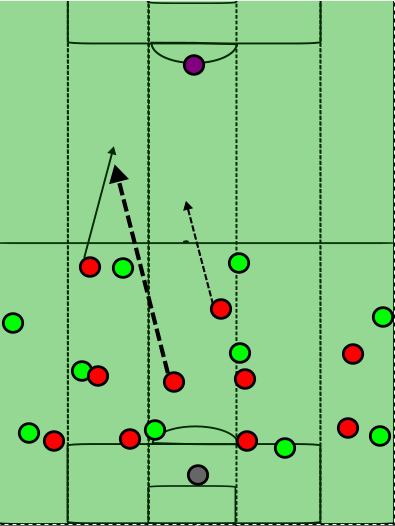 It works particularly well in tandem with their tactic of overloading and then switching the flanks so that a winger or full-back can be found in a one-on-one situation with the opposition’s full-back. Sevilla and their 4-4-2 will ensure that the two compact blocks of four give Real Betis a tough challenge to break down. In such a situation, it will be up to the wingers to ensure that they can successfully move through or around the Sevilla block. The wing dynamics will be crucial to achieving this as Real Betis will play with Giovani Lo Celso and Jesé up front. This will ensure that the opposition’s two centre-backs are pinned back. Both of the aforementioned players are great at attacking the channels in between the centre-backs and the full-backs, and hence the threat of either forward making a run will draw the full-back in-field. This can create space on the flanks for the likes of Andrés Guardado and Emerson to exploit. Notice the highlighted area. The striker makes a run in the channel where he’s played in by the wing-back. This can be particularly well-used on the left side of Real Betis as Guardado and Canales can combine to exploit the space left by Quincy Promes as he moves up to attack. This is relevant because Sevilla prefer to attack down their own right side; nearly 40% of their attacks finish on the right side. Real Betis’ switching approach will be crucial for their wing dynamics to work as they’ll have to draw the Sevilla block to one side so that sufficient space can be created on the opposite flank. Once this is achieved, they can use a long diagonal ball via the left or right-centre-back or one of the deeper midfielders in the double pivot. An overload is created in the highlighted area. Once the opponent has reacted, a quick switch is made to the opposite full-back via the centre-back. This is a common tactic of Real Betis. 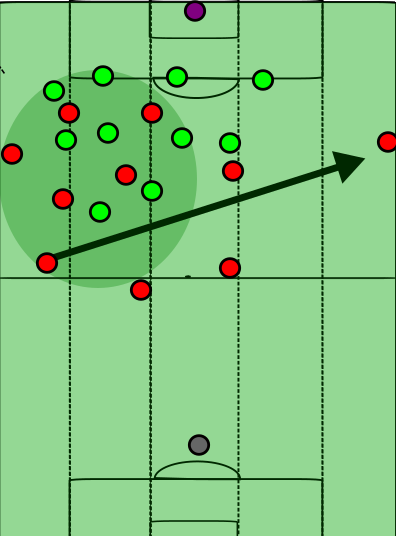 Another aspect which will be vital in this match will be Real Betis’ pressing baits. When faced with a compact block, Real Betis are happy to retain possession with passing amongst their centre-backs and midfielders, even going all the way back to their goalkeeper. This creates a diamond in the first phase of build-up and acts as an invitation to the opposition to come out of their press in an attempt to regain possession. 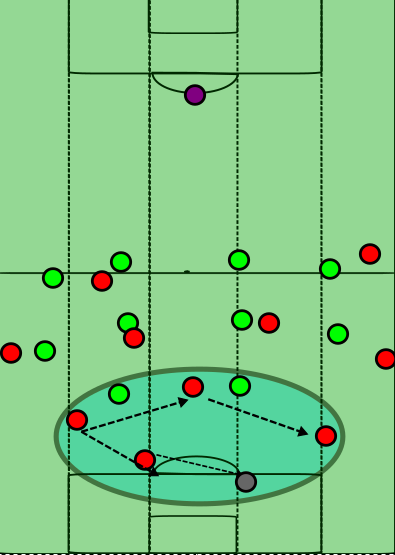 Once this happens, Betis can astutely occupy the spaces created by the player leaving his position and this leads to the opposition losing their vertical compactness. Sevilla will have to watch out for the likes of Cristian Tello and Canales who will be looking to occupy these spaces in between the lines. The backline of Sergi Gomes and Daniel Carriço will have to push up high to make sure that the interior midfielders of Real Betis don’t have the space to turn and play a pass. However, holding a high line has its own troubles as Jesé and Lo Celso will be waiting for these movements so that they can make runs in behind. Betis play an average of one through-ball per game which is the fifth highest in La Liga. Real Betis (in red) play passes amongst their goalkeeper, centre-backs, and defensive midfielder to draw out the opposition block. This creates spaces to be exploited. Sevilla aren’t a side who press with a lot of intensity. However, the arrival of the new coach has sparked a new-born focus on more movement out of possession. During Machín’s time, the side was firmly in mid-table judging by PPDA (Passes allowed Per Defensive Action) numbers, which are a crude measure of a team’s press. However, in the short period that he’s been here, Caparrós has got his team to win the ball high up the pitch. It has improved their numbers as well as their possession percentage; they’re now holding more of the ball since they’re winning it back more often. Sevilla now press in a 4-4-2 and with their forwards starting the movement. The wingers or wide midfielders move outwards to block the passing lanes to the full-backs and the double pivot splits up with one midfielder. Usually, Roque Mesa moves up to provide vertical compression while Banega sits deeper and patrols the space in front of the centre-backs. If the ball is progressed via the flanks he moves in to cover, but only until the winger can get back to defend. This ensures that he can then take positions more centrally so that when his team wins the ball back, he can provide a passing option in the centre or a link between the defence and attacking duo. 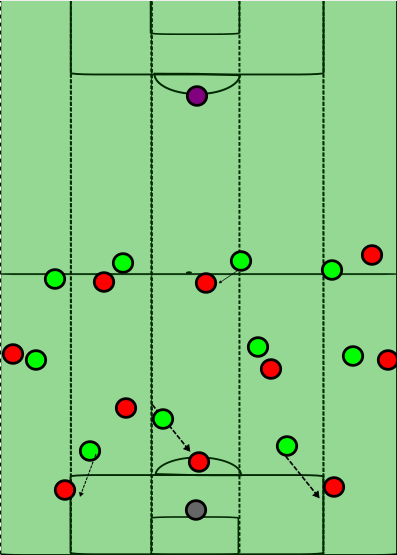 Sevilla (in green)’s 4-4-2 high press with a high-defensive line against a 4-3-3. Against Real Betis, they’ll need Éver Banega’s press-resistance and intelligence in midfield to ensure that they can keep possession when they win it back. This is because Real Betis are very good at counter-pressing the ball-carrier after they lose the ball. They press via their midfielders – Tello and Canales – and one of the forwards, who stay compact and close to each other so that a ball-oriented press can be executed well. Carvalho stays back to collect any loose balls or win the second ball after an initial tackle. It is too early to say conclusively if the 4-4-2 has brought defensive stability to Sevilla. Indeed, whenever the side has lined up in a 4-4-2 or any of the four-man variants, they’ve conceded significantly less xG P/90 (0.32 as compared to 1.56 with the 3-5-2 formation). On the attacking end, there are many things which have stayed the same despite the change in managers and formation. Sevilla rank second in La Liga in crosses per 90 minutes and this has worked out very well for them. Indeed, their attacking prowess is such that they take more shots than anyone else in the La Liga barring the two giants, namely Barcelona and Real Madrid. On average, they cross the ball an insane 22 times per game. The excellent passing range of Banega means that after regaining possession, Sevilla can quickly transition into a lethal counter-attack. Machín’s Sevilla were great at counter-attacking situations. Although not entirely an out-and-out counter-attacking team, they utilise the passing range of Banega as well as the finishing and movement of Ben Yedder to punish teams on the break. This will no doubt be considered by Setién as he’ll have to either counter-press effectively or ensure that his centre-backs don’t push up too high and get isolated when they lose possession. The two bitter rivals will lock horns for this enthralling derby tonight. More than that, it’s also a clash of two very different styles of play. 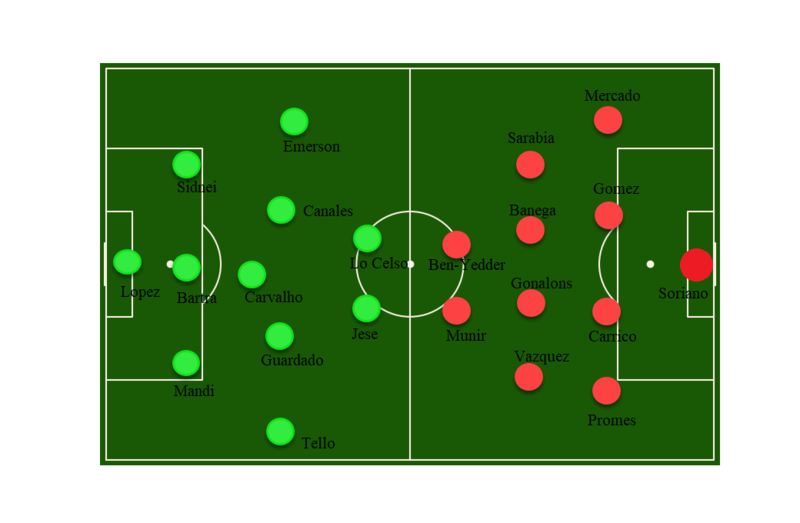 Real Betis’ possession plan hinges on compact positioning, short passes to retain the ball, and patient build-up. They play the highest number of short passes P/90 behind Barcelona and Real Madrid, and Setién is never the one to compromise on his principles, even while facing teams like Barcelona. The other team is one who plays the polar opposite game, using long balls, physicality, and wing-oriented attacking mechanisms. 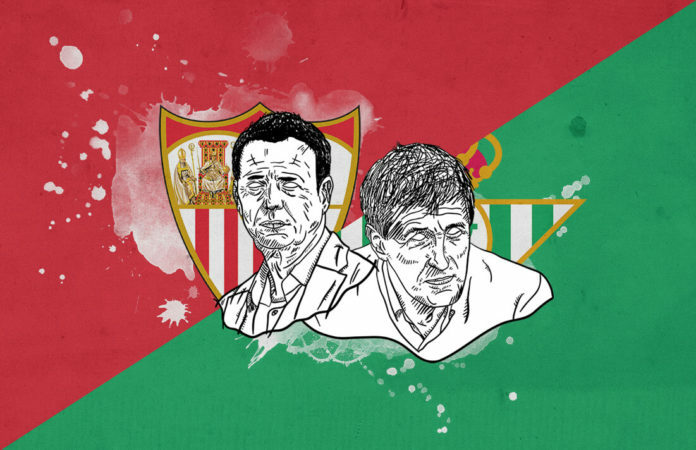 Apart from that, it really is a consequential match for both coaches: one who’s new and will look to get his first derby victory with Sevilla, and the other who’ll be eager to close the gap and get some momentum after a spell of rather unconvincing losses. Both sides will have all to fight for as the season edges closer to ending and every point lost can severely derail the league standings. Previous articleHow did Reading survive a Norwich onslaught? Abhishek Sharma, 20, is a student from India. He usually identifies as a sports aficionado, and his major football clubs are Arsenal, Barcelona, and Inter. Apart from here, you can often find him on chess.com, and Quora. And Twitter of course. Always feel free to drop a message there.